No need for a blurb or teaser. Simply download Minifiction Volume One: Marouflage for free. If you don't like it, just delete it. If you do like it, feel free to spread the word. 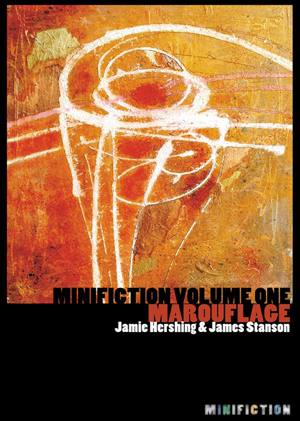 Click here to download Minifiction Volume One: Marouflage in PDF. Click here to download Minifiction Volume One: Marouflage in MS Word. If you would like to buy a paper copy of Marouflage, you can do that here. We hope you enjoy Minifiction Volume One: Marouflage, and look forward to bringing you Minifiction Volume Two: Writing on the Wall soon!